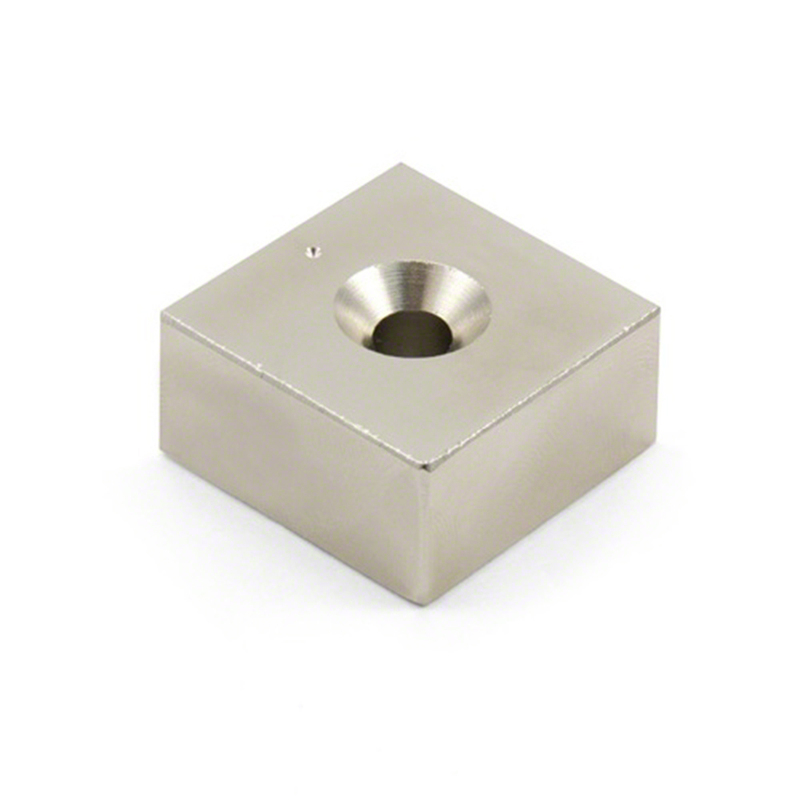 Request a quote for Rare Earth Neodymium Block & Bar Magnets with Countersunk Holes today. JBF National cube, block, and bar magnets are crafted from the highest quality rare earth neodymium. These magnets are utilized across a wide spectrum of industries for a multitude of uses. To ensure longevity and maximum protection from corrosion, these magnets come triple coated with a base and top finish layer of nickel, with a layer of copper in between. Also, the countersunk holes these magnets feature make affixing them in place as needed no issue at all.